In a recent press conference, former referee and now chairman of FIFA's referees committee, Pierluigi Collina said that VAR at the Russia 2018 World Cup was "very close to perfection". He was referring to the 99.3% accuracy rate the video assistant referee system has had so far in the tournament. If this is indeed the case - and who are we to doubt FIFA's statisticians? - then why has there been so much controversy around the technology that, on paper, has improved the game? For this answer, you have to go right back to one of the first uses of VAR in a domestic football league. This was after the technology was labeled a shambles when it was trialed in the 2017 Confederations Cup. It was August, 2017, and Sydney FC were playing against Perth Glory. The game was an important one, as the team who won the match would proceed to the A-League grand final. By half-time, however, the game was pretty much over. The score was 3-0 to Sydney FC but two of these goals, before the arrival of VAR, wouldn't have been given. VAR reversed the decision of two disallowed goals, both originally flagged as offside. The result was a controversial one but was accepted. 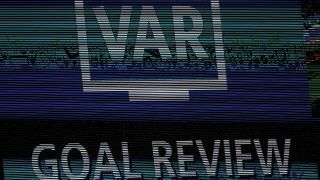 VAR had stamped its authority, changing the face of the game and ushering in a new era of football that relied on technology. In October, the two teams played again. This time, it was a VAR decision too far for Perth Glory manager Kenny Lowe who, after the game, said the use of VAR was "making a mockery of a lovely game". The reason: the referee took four minutes consulting VAR, only to confirm that a penalty that was originally given should have... been given. VAR was being criticised for changing the flow of a match. There is a stop-start nature to football (inevitable with free kicks, corners and cards) but VAR was shifting it to something closer to the NFL and those on the pitch, let alone the fans, weren't happy. The FFA (Football Federation Australia) responded in the only way it knew how, with a press release. "The VAR principle of minimum interference for maximum benefit was not achieved last night and the team will implement better communication protocols to ensure no repeat of this incident," it read. Skip to the World Cup and FIFA decided that, despite many niggles and much backlash, VAR was actually ready for the big league and a whole lot of preparation has gone into making sure that four-minute decisions are no longer a thing. Despite the issues VAR has had in the past, FIFA is sticking with the technology. The idea is that it doesn't want to change the game but bring it into the modern day, with the hope that there will never be a Hand of God moment again. But how does it actually work? 12 referees have been chosen to be video assistant referees and they won't set foot on the pitch, but be in a VOR (video operation room). They were all chosen as they have experience with this type of video technology in the countries they are from. Every game has four referees glued to video screens: one video assistant referee (the main VAR) and three assistant video assistant referees (AVAR1, AVAR2 and AVAR3). The main VAR has one video feed that they watch, and underneath this a monitor comprising split screen showing four feeds. AVAR1 takes the main feed, AVAR2 is in charge of offside challenges and watches two screens for this - they have access to two dedicated cameras that aren't used anywhere else. AVAR3 is watching the game as we would - they have their eyes on the television feed. The VOR is centralized and is actually situated in Moscow. Each of the 12 stadiums' video feeds are sent to this room (and each stadium has 33 cameras) through fibre optics. It's also through this system that the on-pitch referee speaks to the VAR team. In the knockout stages, two extra slow-motion cameras are installed behind the goals to offer more choice for the VAR crew. VAR can only be summoned through certain ways. For obvious reasons, it's only used in real game-changing situations. The first is when there's a goal and a potential offence has happened that lead to the goal. Then there's penalty decisions: ones that have been awarded and ones that haven't, but there's contention that they should have been. The third is to do with red card incidences and the fourth is all about mistaken identity. Out of these, video is reviewed by the on-field referee - that's when you see them running over to a monitor - when a goal's been scored and there is the potential of an off-side ruling or foul committed. Video will also be used when there is a foul leading up to a penalty and for red cards. VAR is consulted (no video, but a chat through the radio comms) for lesser penalty issues and cases of mistaken identity. To make all of this work, the following tech companies are used - Video Assistant Referee (VAR): Crescent Comms (audio) and Hawk-Eye Innovations (video); Goal-Line Technology (GLT): Hawk-Eye Innovations. Although he was quite happy when Germany was stung with a VAR decision. Former footballer turned pundit Stan Collymore is a little more reasoned. Collymore is right, VAR is making a difference in the World Cup. Yes, it got off to a shaky start. Diego Costa said "it can make you look stupid" when he took the accolade of being the first footballer at a World Cup final to be questioned by VAR. But since then it has been fine-tuned and that stat stands: 99.3% of decisions have been correct using VAR, 95% without (stat correct at time of writing). That is from 335 incidences analysed by VAR, where 17 reviews were made and 14 decisions changed as a result. "Before running you have to learn to walk," said referee committee chairman Pierluigi Collina about the VAR results. "I don't know what's possible in the future, but I think it's a bit early for that now. I agree it would be interesting, though, and would perhaps make decisions better accepted by the football community." Whatever happens with VAR and the World Cup, there's no doubt the technology has made an impact; it's a talking point and the cause of many an argument up and down the country. It is much like any contentious decision made by a referee, but this time the rage is very much against a machine. The Premier League voted against using VAR in the 2018/19 season, with two-thirds of the clubs voting to defer the use and instead test the technology in the background. This is something they might start to regret, if the decisions keep going the right way.